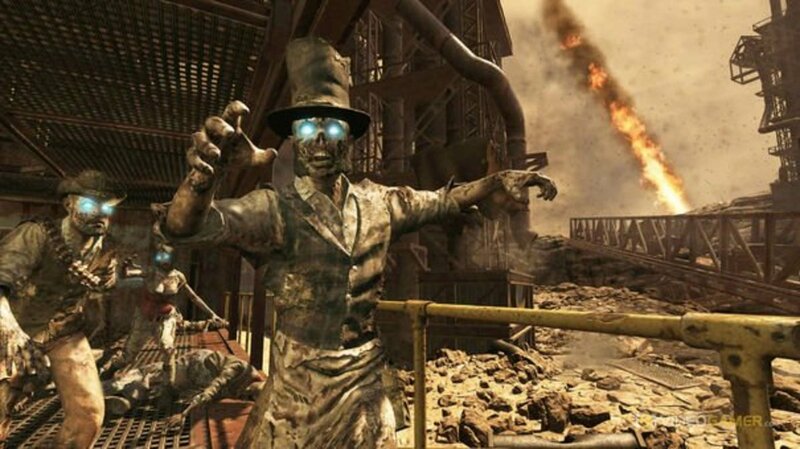 The Giant is one of the most interesting additions to Black Ops II, Zombies. He goes by many names: Sloth, Leroy, the Gentile Giant, the Sweet Giant, and many more. I prefer calling him Tiny because he reminds me of Tiny from The Devils Rejects. 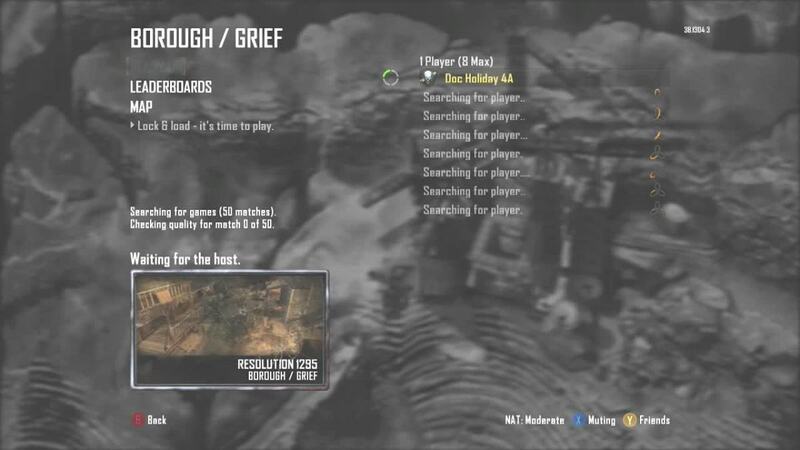 As we continue to play Buried it is becoming evident that he is not a one trick pony. There are many tasks that you can give him. You give him tasks by feeding him Candy or Booze. First I will discuss how to free the Giant from his cage, and then go into each task in more detail. If you want the Giants help you will first have to bust him out of Jail. Fortunately this is a very easy tasks that can be done on round one without paying to open a single door. 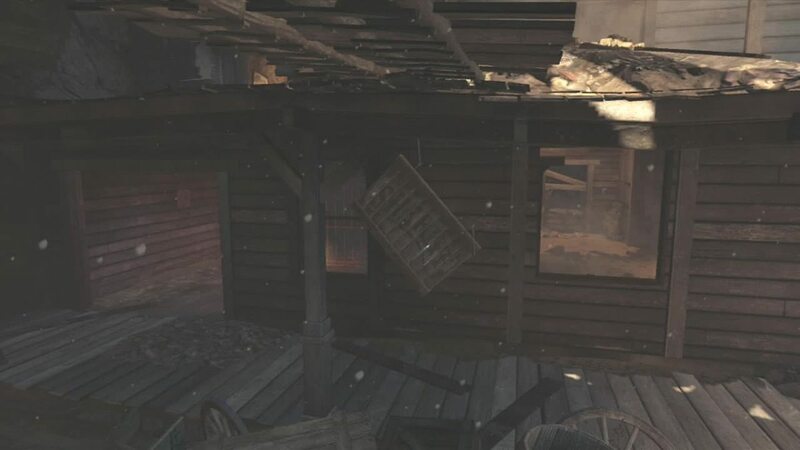 The Sheriffs Building is in the town section of the map across from the Barn. It is on the same block as the starting location for the Mystery Box. 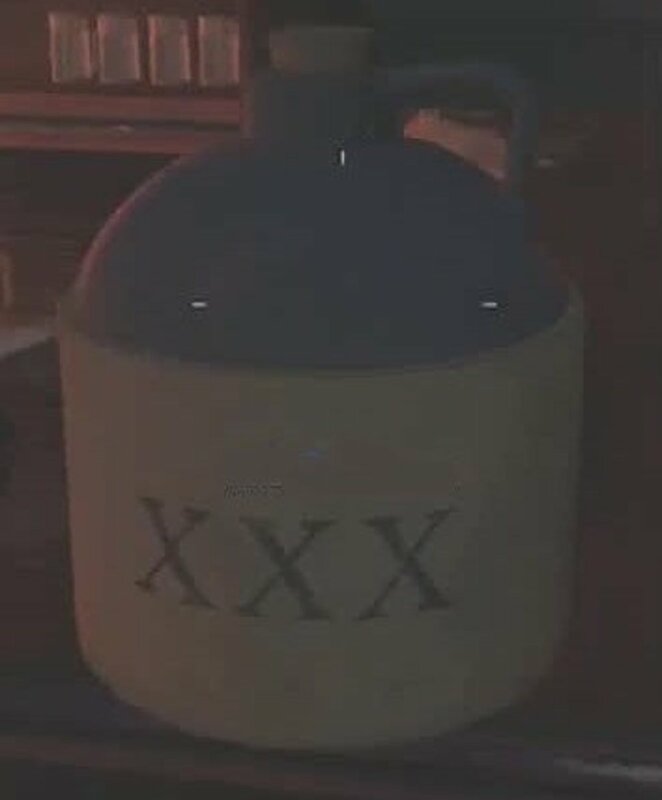 Jugger-Nog is in the passageway beside the Sheriffs Building. You can gain access to the room by going up the steps of the building next to the Sheriffs Building. 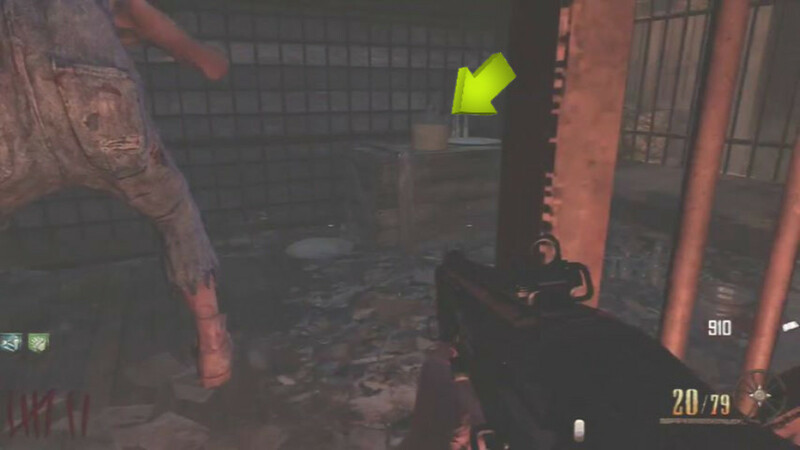 The bottom of the steps are by the start of location of the Mystery Box. When you get to the top of the steps look towards the broken wall. You will also see the broken wall of the Sheriffs Building. Jump across and then drop down the hole directly on your left in order to enter the room that holds the Giant. The Key will be on the wall next to the Cell Door. 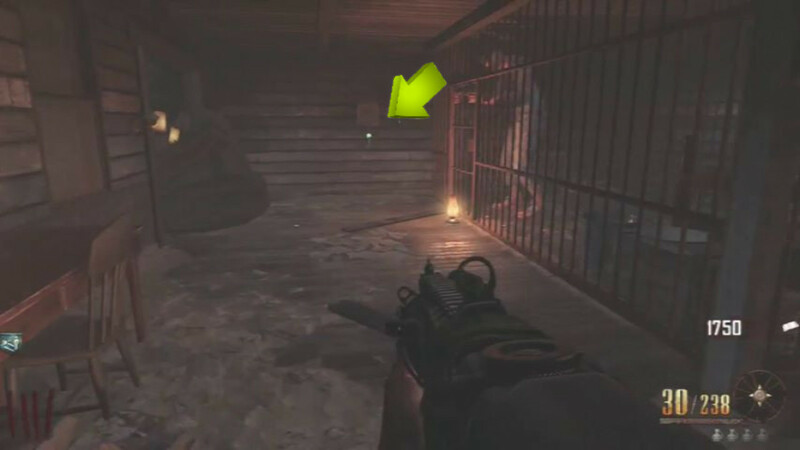 It is easy to spot because of the glowing green skull on the key. Approach the key and press your action button. An onscreen indicator should appear when you are close enough to pick it up. After you have the Key approach the cell door. Press and hold your action button. An onscreen progress indicator will appear similar to the one that appears when using a Building Station. When the progress is complete the cell will open, but the Giant will be facing the wall and will not leave. In order to get the Giant to leave you will first need to feed him Booze. The Booze will be on the table in the Cell. Approach it and press your action button in order to pick it up. 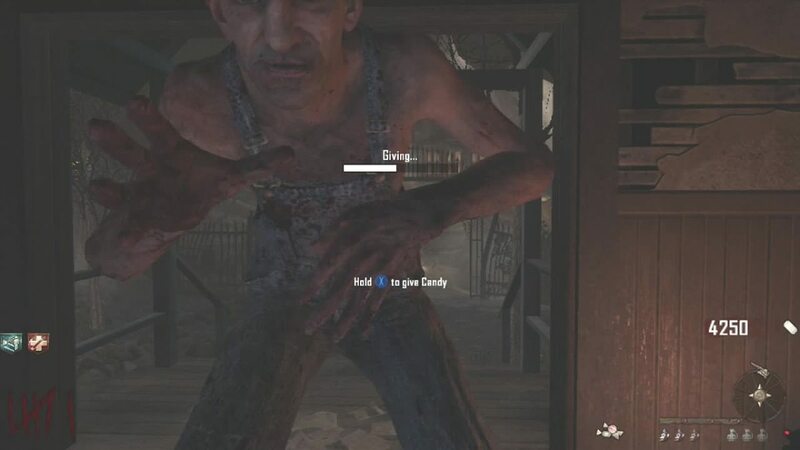 With the Booze in your inventory walk so that you are face to face with the Giant. Press and hold your action button. An onscreen indicator will show you your progress. This moves faster than the progress for the Building Stations. Once this is complete the Giant will drink the Booze, throw the bottle on the floor, turn around, and run into the Barrier. This will create a new entrance into this building. The Giant will stay on the ground for a couple of seconds and then get back up and start wondering around the Map. I can not express how delighted I was to learn that the Giant can hold a crawler. Gone are the days of running a crawler around a circle while another player if off doing whatever. The Giant will pick up the Crawler and hold it like a baby. The Giant will also follow you around, so the crawler will not die from getting too far away from you. The Giant will continue to hold the crawler until it dies. 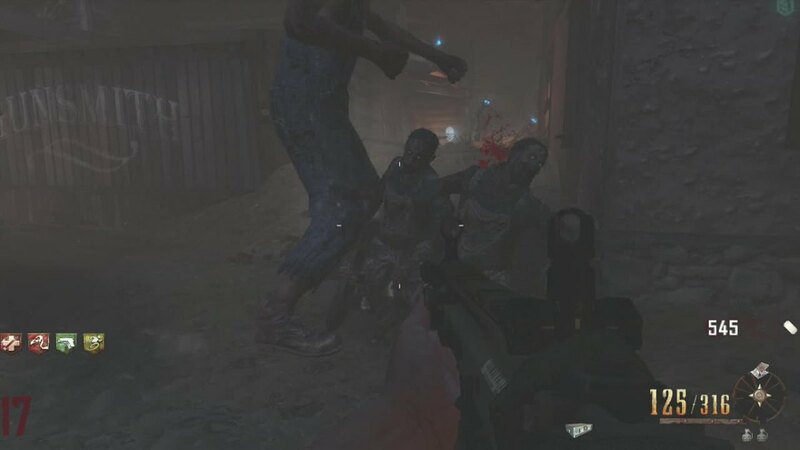 If you want to start the round before this happens you can shoot at the zombie. The Giant will take the hint, slam the crawler to the ground and stomp on its head. There are a total of Seven Buildable items in Buried. Four are built using Building Stations, two are special devices for the Easter Egg, and the seventh is the Nav Table. Building all of these items can take a lot of time. However, you can task the Giant with building the four items that require Building Stations. The Giant will choose what to build on an empty Building Station. Put on one of the parts if you want something specific build there. The Giant will pick up all the parts and build it at the same time. You don't have to wait for him to walk back and forth for each part. He will kill any zombies in his path. 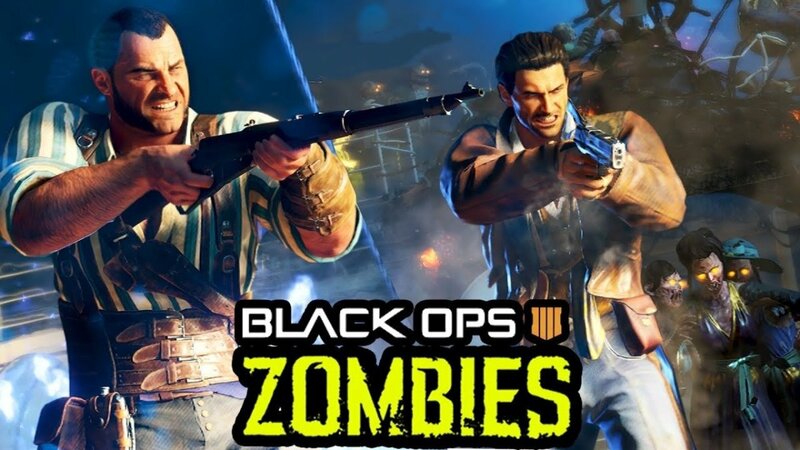 But the zombies he kills will re-spawn. There are various barriers that can only be removed by having the Giant smash through them. By feeding the Giant Booze you will cause him to turn around and charge. Caution: When the Giant charges he will down any players that are in his path. After the Giant drinks the Booze he is going to do a 180 and charge in that direction. In order to have him smash a barrier you will want to have it directly behind him. If he hits an non-mobile objects he will fall to the ground and stop charging. The Mystery Box starts in a location that is easy to access. However, once it moves it can end up in various locations, including the tunnels above. However, you can task the Giant with keeping the box at a specific location. Stand close to the Mystery Box with the Giant. The Giant will pound the top of the mystery box with his fist. Now the box will not leave this location for the rest of the game. The Mystery Box has the tendency to offer undesirable weapons. Double your chances of getting a good weapon by bringing the Giant to the box with you. 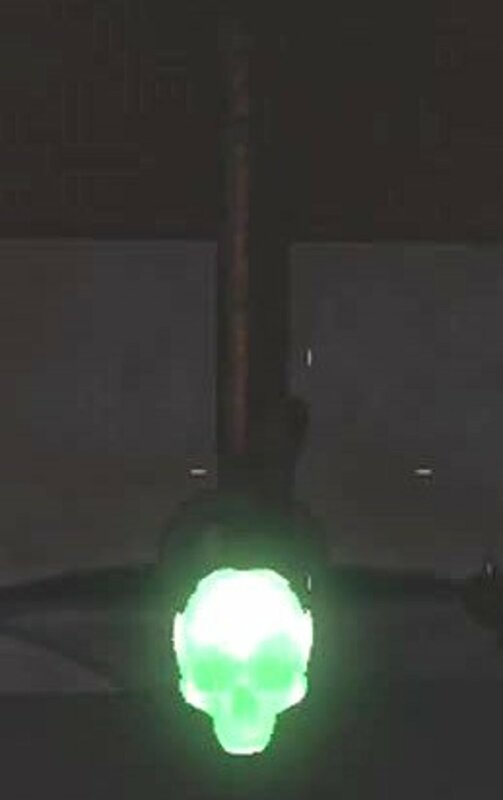 The Giant will hit the Mystery Box and a second gun choice will appear. You can pick it up at no additional cost. Do you get excited when you see that carpenter hammer...no, nobody does. But now you can task the Giant with changing a Power-Up to another power up. 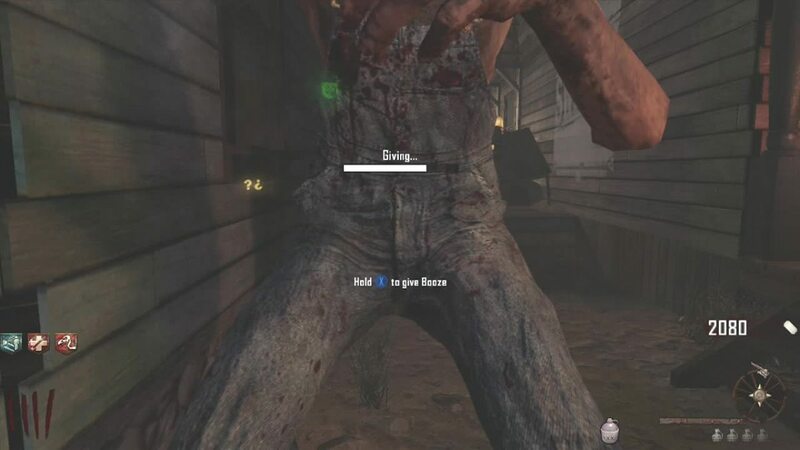 The Giant does not really kill zombies, instead he makes them spawn someplace else. 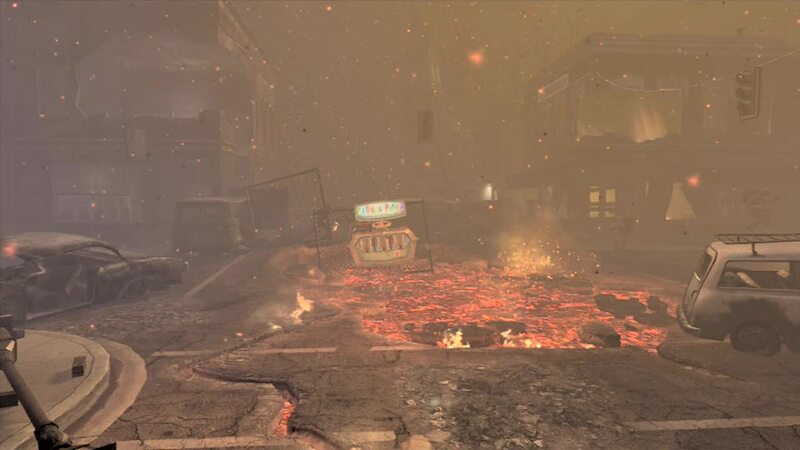 However, in high rounds this can slow down the amount of zombies that are rushing you at one time. 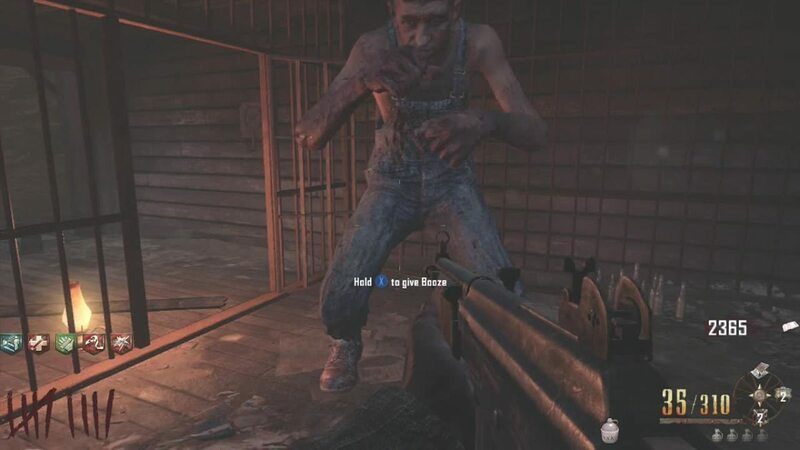 He will punch and kick, taking out multiple zombies at a time. Caution: Do not get between a zombie and the Giant after he has eaten Candy. He will inflict damage and possible down you. Feed it to the Giant when he is not near an unfinished Building Station or a crawler. If a player causes enough damages the Giant he will run back to the Cell, shut the door, and lock himself back in. This does not take much damage and can happen while he is in the middle of a task. 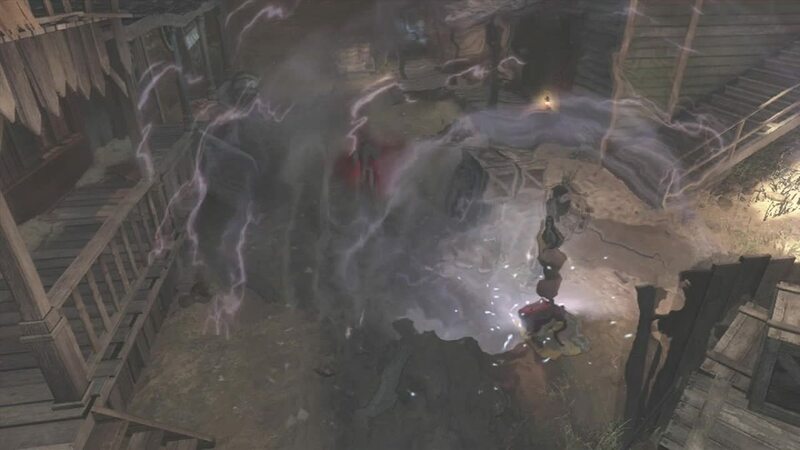 Players can damage the Giant using guns, Melee Weapons, Explosives, and Equipment. In order to get him back out of the cage you will need to find the key and unlock the cage. 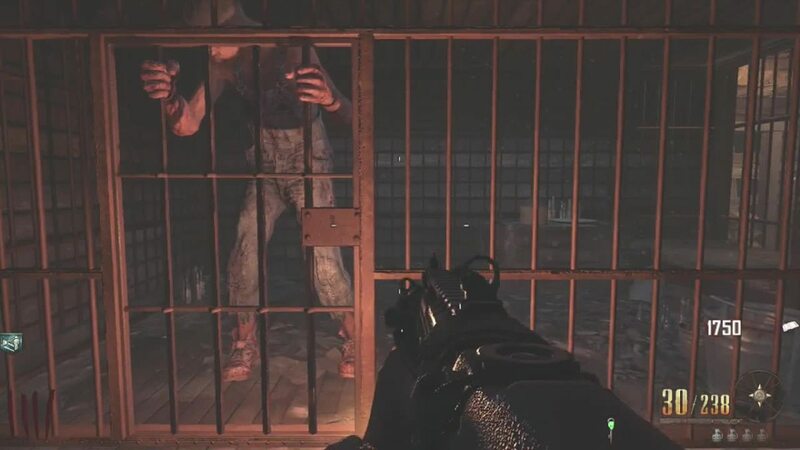 Time-saver Tip: The Giant will not shut the cage with you in it. So if he is damaged beat him back there. If you give him Booze or Candy you will not need to find a Key. If a player is using Vulture Aid and the Giant runs through the green stink he will stop and examine his boots. This can take up a little time. If you shoot the Giant while he is changing a Power-Up he will run to his cage. The Power-Up will remain there until someone grabs it. It will not time out like it normally will. 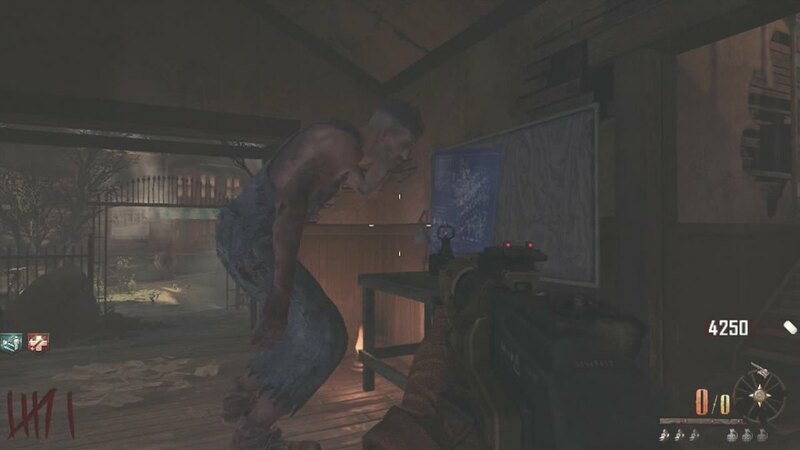 When I give Leroy candy near the box he all ways kill zombies instead of getting the box back. I was unable to get the Giant to do anything to the perk machines. 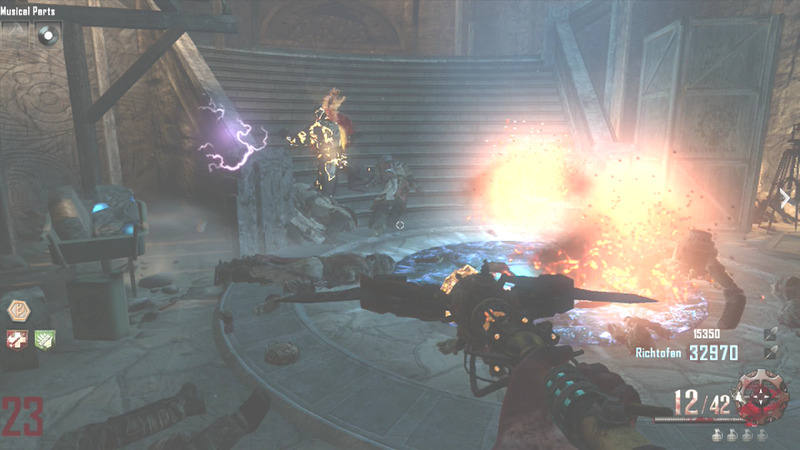 But I did add a video on how to use the Giant to get a Max Ammo anytime. You don't have to wait for a Power-Up to drop. Also, he can re-roll perks-a-cola machines, And I believe this is why he can go to the maze. I will test this out tonight. I need to add: Moving the box, reroll magic, and bringing a crawler to Pack-A-Punch. I am also looking into freezing him in one place and other ways to utilize him. Thanks esb, I will go in and check that out today, and add it. I think he does something in the maze also. I went into the maze with Candy and he followed me to Pack-A-Punch. I want to see if I can get him to move a metal door . I added two items to this guide. First was the ability to anchor the box, as locosvilla pointed out. The second is the ability to get the Giant to change the weapon that the Mystery Box offers. Thanks locosvilla. I have not yet seen this and will have to try it today. I will add that into the article, along with something else I learned last night. 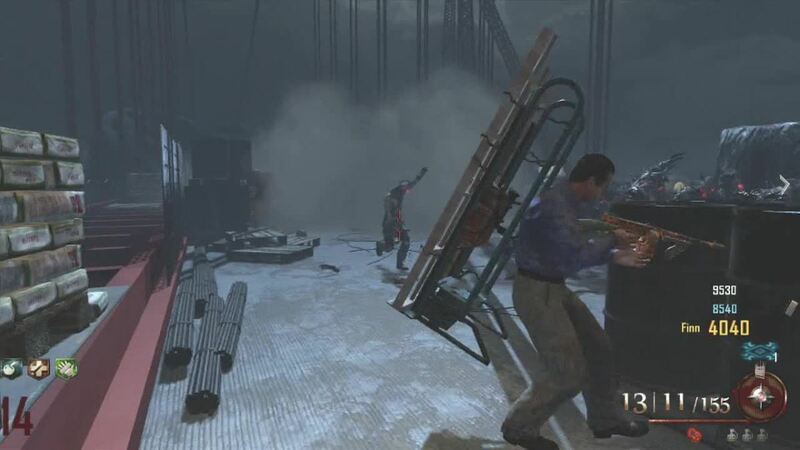 Using a Melee weapon against the Giant will cause him to move faster and will not make him run back to his cage.